Special Counsel Robert Mueller's report on Russian meddling in the 2016 election did not find any collusion with Russia by US President Donald Trump or any of his campaign officials – according to a summary submitted to Congress. It adds that Mueller did not draw a conclusion on whether Trump or anyone in the White House obstructed justice during the investigation. Attorney General William Barr sent the summary of conclusions from the report to congressional leaders and the media on Sunday after Mueller handed in his report last Friday. Trump celebrated the political win with a tweet that read: "No Collusion, No Obstruction, Complete and Total EXONERATION. KEEP AMERICA GREAT!" Mueller's two years of investigation concluded that no one in Trump's campaign "conspired or coordinated with the Russian government," according to the summary of findings. However, the report did not exonerate Trump from possible obstruction of justice. "While this report does not conclude that the president committed a crime, it also does not exonerate him," Attorney General William Barr quoted Mueller as writing in his report. Mueller did not himself reach a conclusion on whether Trump had broken the law by interfering into various 2016 election investigations but presented his evidence to Barr who drew the conclusions. But Barr made clear that he had rejected the possibility of a criminal charge. “The report identifies no actions that, in our judgment, constitute obstructive conduct, had a nexus to a pending or contemplated proceeding, and were done with corrupt intent … each of which … would need to be proven beyond a reasonable doubt,” Barr wrote in his letter to lawmakers. The news is likely to ignite a new political fight in Washington as Democrats will want Barr to release the report in its entirety. Trump has always denied collaborating with Moscow or obstructing justice. Russia also denies interfering in the US elections. though US intelligence agencies say it did. Mueller's investigation brought charges against 34 people, including Russian agents and former key allies of Trump, such as campaign chairman Paul Manafort, former security adviser Mike Flynn and his personal lawyer Michael Cohen. None of the charges, however, directly related to whether Trump's campaign worked with Moscow. Trump's lawyer, Rudy Giuliani, said the report findings were better than he expected and White House spokeswoman Sarah Sanders said the findings were a "total and complete exoneration of the President of the United States." 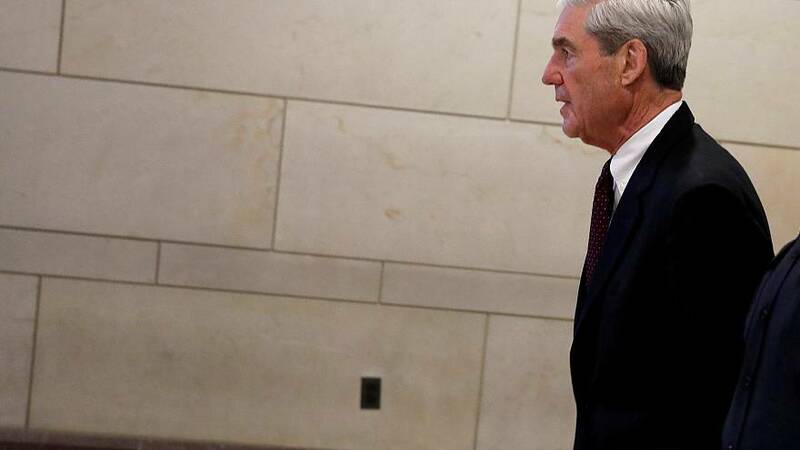 READ MORE: Who is Robert Mueller, the man behind the report on Trump?